Looking for an DIY oven repair guide to help you fix your broken kitchen appliance? Check this out. You’re back from the store with all the ingredients you need for a delicious meal, when you suddenly discover your oven’s given up the ghost. We’ve all been there. Though it’s tempting to give up and order pizza for the rest of the week, a better solution is to be fully prepared with all the wisdom you need to perform quick maintenance checks and repairs at home. Yes! It is possible. To help you prepare for all those unexpected oven melt-downs, we’ve put together this helpful DIY oven repair guide, designed to take you all the way from “Oh shoot”, to “troubleshooting”, to that perfect three-course meal. Using the “Handy DIY Oven Repair Guide” below, simply track down the place where you need some help, and click the link to discover your step-by-step diagnostic solution. Please remember to stay safe. If you have absolutely no experience troubleshooting appliances you may want to call a professional that knows how to deal with oven repairs. Before you start working on your oven worries, make sure that you disconnect the appliance from the mains! The last thing we want is for you to end up getting fried instead of your chicken wings! Alright, first things first, we need to figure out what’s putting the brakes on your culinary masterpiece — this is the first step to your DIYoven repair . To do that, we’re going to need to look at some of the key issues that can lead to oven malfunction. If you have an oven troubleshooting guide or brochure that can with your purchase, now’s the time to get it from the bottom of the kitchen drawer. You’ll likely find it hidden underneath a bunch of takeaway menus. That little guide should provide you with some helpful information about where to find important elements of your oven, and it may even provide its own guidance for common appliance issues. If you can’t find your user manual, don’t worry. You can still use this handy DIY oven repair guide to troubleshoot some common problems. If you’re constantly serving up raw chicken breasts and undercooked sausages, then there’s a good chance that your oven isn’t playing by the rules (unless you’re forgetting to turn the temperature up high enough). To find out whether there’s a problem with your oven temperature, you’ll need to verify whether the built-in thermostat in your appliance is working. The easiest way to do this is to get a second opinion. Grab your own separate thermometer, and set the oven temperature. We recommend you keep the temperature low – just in case. Once the oven has had plenty of time to heat up, check the temp against your own thermometer and see if there’s a significant difference. Top Tip: Many of the budget-friendly dial thermometers you can get from your local grocery store won’t have the accuracy you’ll need for this task. A glass-bulb thermometer is much more effective, but don’t expect perfection. If your oven set to 350 degrees is heating up to somewhere between 325-375 degrees, that’s about normal. Alright, so maybe your oven is heating up fine, but somewhere along the way to giving you the perfect meal, it’s losing all that essential heat? Check the oven door gaskets. These are the rubber things that are designed to keep heat inside of your oven (where it belongs). Although gaskets are meant to last for quite some time, they can eventually become damaged, torn, or warped. This means that the heat in your oven will start to creep out through the gaps, and leave you with a less effective oven. The good news? Gaskets are easy and cheap enough to replace all on your own. You might find that many of the common problems associated with ovens not working like they should come down to a problem with the door. If your oven door can’t close properly, it’s easy for heat to escape. Make sure that every time you’re shutting the door, it’s clicking closed firmly and tightly. If you’re not getting a solid close, then you’re going to need to change for any bent or broken springs and hinges. Know what we’re talking about? Great. Well, if the clock accidentally gets set at the “cook and hold” position, then your oven might struggle to work properly until you’ve re-set your entire appliance. Resetting is where your user manual from before will come in handy. If you can’t find it, look up your model number online. Can’t think straight thanks to a noisy oven fan? If that’s the problem with your oven, then it’s time to do some exploring. Whether the noise comes from the fan on the top of your oven, or the circulation fan on the back panel of your oven, the problem usually comes down to worn out bearings on the motor. All you need to do to fix the issue is replace the relevant motor with something new, and more efficient. A gas oven is a great alternative to the standard electric oven for people who know how to use it. Although your gas oven might be a little costlier to begin with, it can often work out as being a more cost-effective solution, since electricity often costs more to buy than gas. Another great benefit of gas ovens? They can warm up and cool down much faster than your electric oven. That means if you get home at the end of a long work day and you’re absolutely starving, you can throw in a quick meal without having to wait too long for the oven to pre-heat. Some people even suggest that gas ovens are less likely to leave you with “dried out” food than their electrical counterparts. The only problem is, gas ovens can come with a few specialist issues. Here are some of the most common problems to watch out for. The speedy nature of a gas oven can be what makes this appliance much more appealing to some budding chefs. However, what do you do when you ignite the oven, and find that it takes forever to operate? Delayed ignition is a common concern with gas ovens, frequently caused by blocked ignition ports. If you can’t hear, feel, or smell any gas coming from your oven when you hit the ignition switch for a while, then we recommend having a qualified technician come and check the problem. They’ll be able to fix the problem without much dangerous fiddling. Remember, delayed ignition issues can easily cause fire and explosions, which is why we don’t recommend trying to deal with the problem yourself. Just because you’re using a gas oven doesn’t mean you should be able to smell that gas. If you can smell something strange whenever you switch your oven on, this could be a sign that you’re suffering from a defective gas valve. Sometimes, gas valves will open too soon, and don’t allow the gas ignition point to hit the right temperature. This problem with synchronicity can lead to a dangerous gas leak. Additionally, you might experience a gassy odour caused by damage to your gas valves. Even the smallest hole can cause a lot of problems. These issues should be addressed immediately, as unchecked gas leaks can poison household members, cause explosions, and encourage fires. Sometimes, you might discover that the gas burners in your oven are struggling to light up properly. Even when you’re turning your oven up as high as it will go, you’re still not getting the right response from your burners. Obviously, poor ignition means that you’re not going to get the best cooking results. The most likely cause of problems with your burners, is that your cross-cover ports are being restricted by dirt or debris. Open your oven up and check out the cross-over ports on the burner tube. They should look like a bunch of tiny holes on a small slot. You can use an old toothbrush to carefully scrub the ports and clean them up for a better oven performance. Typically, the oven pilot light should light up automatically when you switch your gas oven on. This is the light that you’ll find towards the back of your oven. If that light doesn’t ignite, then there’s a chance your electrode is dirty and in need of a good scrubbing. Grab your old toothbrush and look for a small metal rod located between the tubes that can connect to the burners. Clean it up, and relight the oven pilot when you’re done. Electrical ovens are probably the most common style of oven on the market. They use a simple heating element to warm up the oven space and cook your food. Most of the time, if your electrical oven doesn’t work, there’s either a problem with the current supplied to your appliance, or one of the countless components that make up your oven. Just like anything else, the bits and pieces in your oven will wear out over time – and some will break quicker than others. The good news? Most components are cheap to replace. Here are some of the most common problems encountered by people with electrical ovens. The simplest way to resolve a problem with an electrical oven, is to make sure that you’re getting the right amount of power. Blown fuses are a common issue with almost any household appliance – including your good old oven. 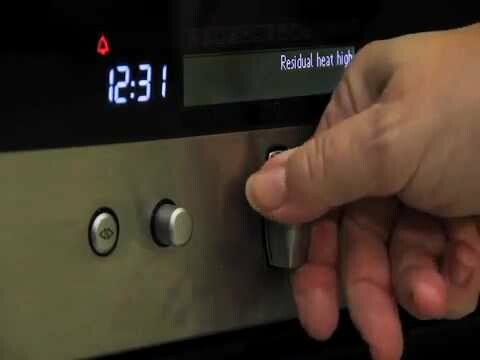 If the surface burner on your electric oven glows when you switch it on, then you know you’ve got power. Keep in mind that sometimes, the surface burners will heat up slightly one side of your 240B circuit drops. However, if you know your burners are hot, then you still have electricity. Make sure that the cable responsible for linking the oven to the power supply is secure, and don’t forget to look at the circuit breaker and fuse. If you’re definitely getting power, then your electricity supply isn’t the problem. That means you’ll need to check out the heating element to ensure it’s all intact. If the element has little broken pieces in it, you’re going to need a new one, but they usually only cost about $70. If your heating element is working fine, then there’s a good chance you’re experiencing an issue with the wiring, or the “bake” element. The bake element is about the size of a pencil, and you’ll find it on the bottom of your oven. Usually, it’s connected to your oven by two screws. To get in and take a good look, you’ll need to remove both screws and take the bake element out. Once you’re done, attach a new 240V circuit to the terminal, and reconnect the power supply. Turn your oven to “bake” mode. 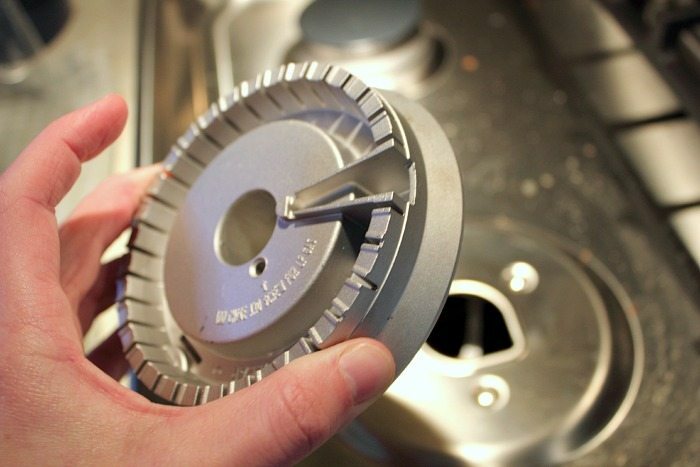 If the light appears, then your bake element is burned out, and you’ll need to buy a new one. Problems with your oven wiring are probably some of the toughest ones to identify. After all, you’ve basically got to be a trained electrician to know what’s going on at the back panel of your oven. However, you can get a basic idea on whether you need to call a professional out. Open the back panel of your oven and look for any burnt-out terminals or wires. If you find something, remove it and replace it with a nickel-plated, high-temperature terminal. Finally, if you’re constantly having problems serving meals that are either under-cooked, or overcooked, then there’s a good chance your thermostat sensing bulb is broken. In some cases, this bulb can even come loose over time when you’re using your oven, and end up on the floor of your oven, or heating element. If your bulb appears to be in the right place, then your thermostat might need to be re-calibrated, which means calling out a professional technician. An oven might be one of those household appliances you’d prefer to “set and forget”, but the truth is that these tools need plenty of love and maintenance if you want them to keep running at their best. After all, let’s face it, they undergo plenty of hard work, every day. The easiest way to make sure that you don’t have to pay for any expensive oven repairs is to follow a few daily maintenance tips to keep your oven in tip-top condition. Here are just some of the measures we recommend. If you have a self-cleaning oven, then you’re going to need to clean it at least 2 to 4 weeks before a family event where you’re planning to give it a serious workout. Self-cleaning oven cycles are super-stressful for your oven, and if your appliance is on the verge of a breakdown, it’s better to find out long before you need it. Remember, finding the perfect technician to fix your problem, or even ordering the parts so you can “DIY” it can take plenty of time. For an effective, and simple maintenance measure, make sure that you clean your oven control panel regularly. You can clean any glass range oven or porcelain stovetop with a glass cleaner or non-abrasive cleaner. Make sure you avoid any “creamy” cleansers, as these can include small abrasive particles that end up scratching your oven surface. Most modern-day appliances contain some kind of computer equipment as a part of their design. These elements need to be protected from any potential power surges. Our advice? Don’t wait for a surge to burn up the technical parts of your oven before you invest. Grab a surge suppressor as a preventative step and use it regularly. They don’t cost much, and they’re well worth your time. Most ovens have an interior lightbulb. Sometimes, the bulb can be sat there, completely burned out for so long that you forget you ever had one in the first place. You can find your bulb located behind a small glass dome towards the top right or left side of your oven. All you need to do is remove the glass dome and replace the bulb for a more efficient and brighter oven. Remove and clean any broken or totally illegible oven knobs with a non-abrasive cleansing solution. This will preserve your oven for longer, and make sure that your appliance looks as good as new again. If nothing else, it’s sure to impress your visitors. If the broiler pan in your oven is missing, damaged, or soiled, you might find it easier to simply replace the part altogether with an inexpensive, brand-new unit. You should also check out any bowls and drip pans that might need to be repaired. These parts not only catch spills and dripping food, but also help to radiate heat throughout the oven for better efficiency. Make sure that you never just cover the dirty parts of your oven with aluminium foil. 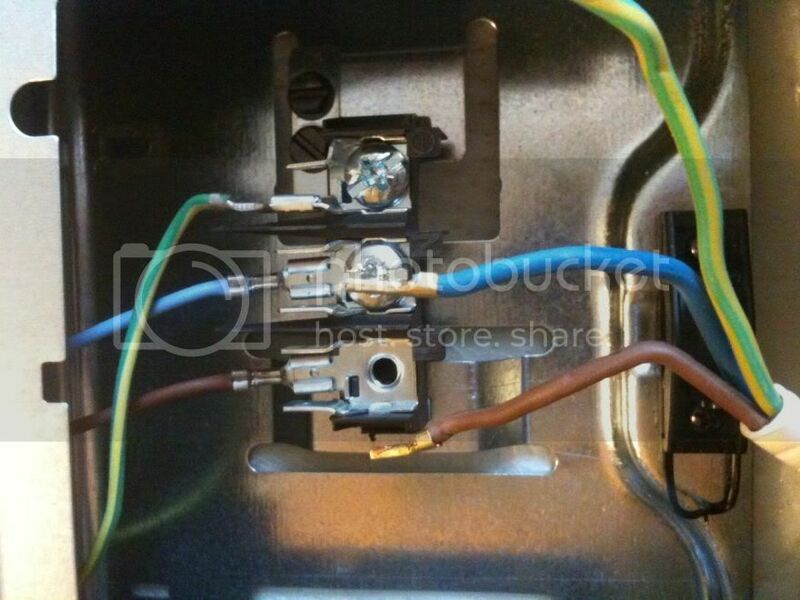 A lot of electrical ranges short-out because the aluminium makes a short circuit for the burner. Plus, foil can cover up the vents in the burners, which makes your oven less efficient. 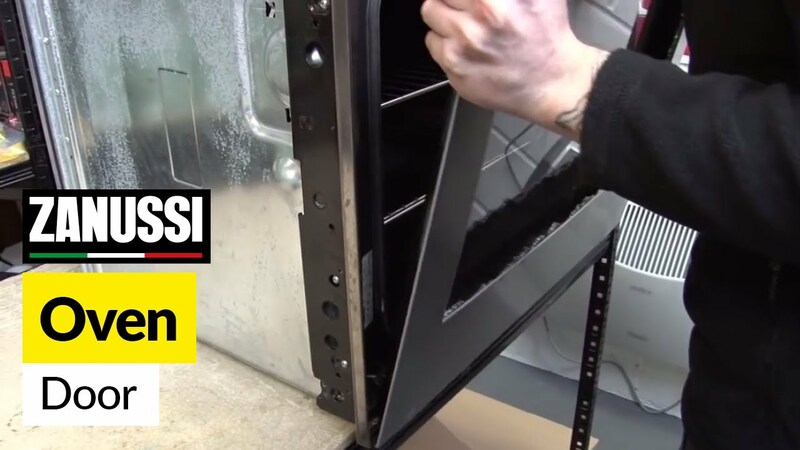 Some of the simplest solutions for DIY oven repair in no time! 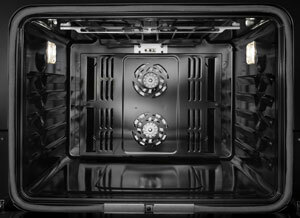 While this DIY oven repair guide might not cover all of the oven problems that could possibly occur in your appliance’s lifetime, it certainly covers some of the most common issues we respond to on a regular basis.